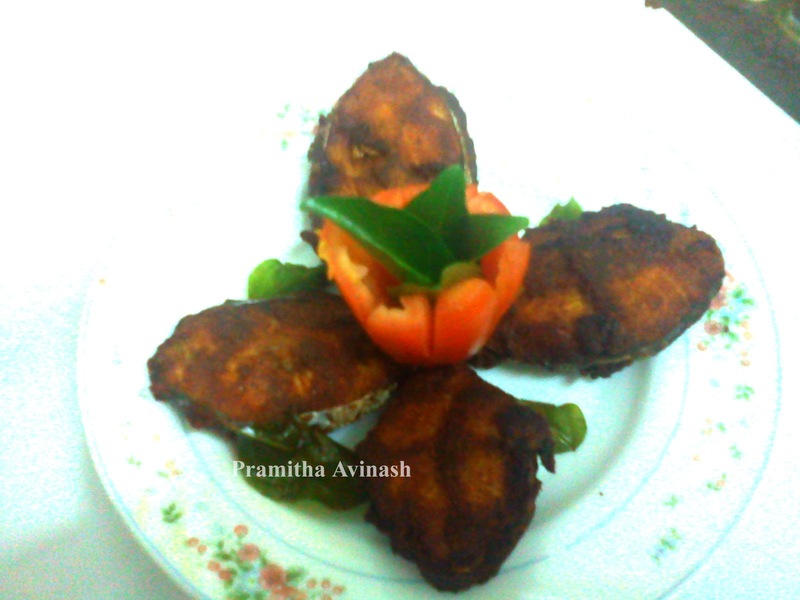 Crispy and a speacial ney meen fry for you.Its is very simple yet tasty,so please try it. 1.Combine the ingredients from 2-8 thoroughly. 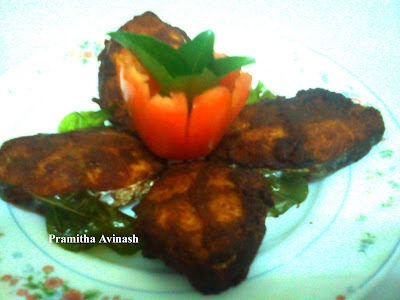 2.Marinate the fish slices well and keep it aside for 1 hour. 3.Heat oil in a pan and fry the fish slices until crispy,you will get a crispy and tasty fish fry.